Had to wait until my 14 year old daughter wasn't around to write this <G>. She is a MASSIVE Maze Runner fan. Read all the books many times and owns the first movie. We went to see the advanced screening last night with two of her school friends who haven't read the books, but like the movies (or at least the cute boys in it). From the three girl's perspective it was a great movie. I was told to give it 5 sheep or face teenage wrath. It wasn't a 5 sheep movie for me, but it wasn't a bad movie. I read the first book (wasn't impressed), but not the second one. 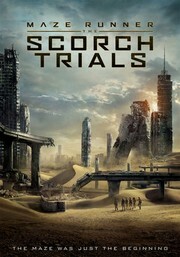 Apparently The Scorch Trial movie strays way off the path of the book! Not in terrible ways, but enough to have my daughter shell shocked. For me, the movie was action packed. Those poor kids never stopped running...and the betrayal! A pretty brutal one. It was entertaining and the cranks (people turned by the Flare virus) are terrifying and well done. But Rose didn't take a nose and that really blows...you only understand this if you've read the second book, but it was a very important scene that was left out of the movie. If you have young adults then take them, they'll enjoy it. Adults...maybe wait for the rental unless you're looking for something to do on a hot Sat/Sun afternoon. We're going this morning! We enjoyed the first movie. Thanks for the review!